Because of the complex anatomy of the breasts, particularly in women with denser breast tissue, many cancers can be undetectable through breast exams and even mammograms in the earlier stages, when they have the highest likelihood of being treated successfully. 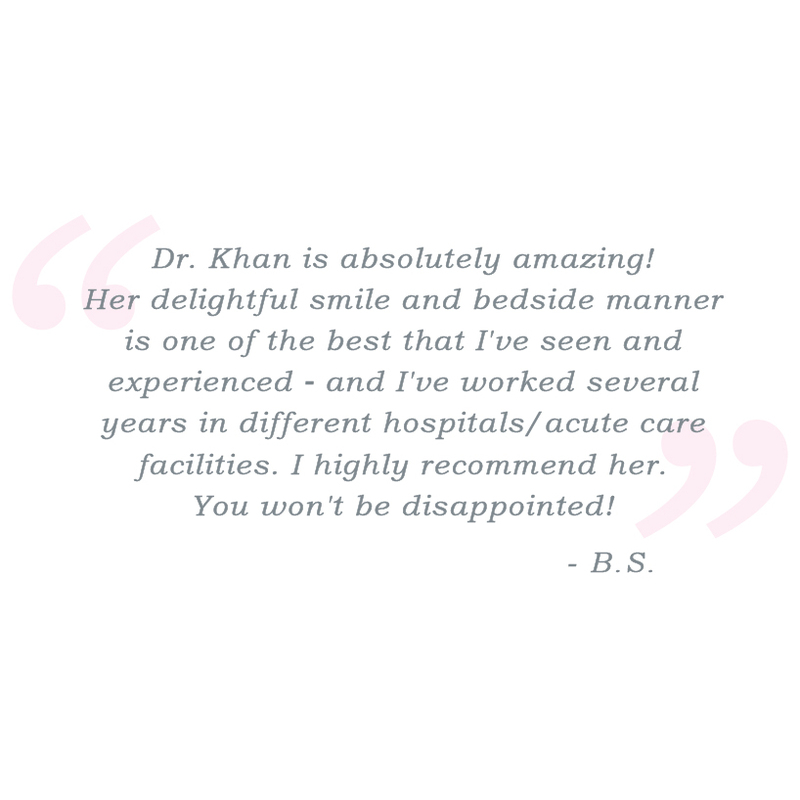 As part of our dedication and commitment to offering comprehensive, multi-faceted care to breast cancer patients at all stages, Dr. Sadia Khan uses the most advanced diagnostic imaging technology available to obtain as complete and accurate a diagnosis as possible. The prevalence of breast cancer makes it necessary for every woman to know their individual risk levels for potentially developing the disease, and to begin regular screenings accordingly. To obtain the most comprehensive and accurate diagnosis for each patient, Dr. Khan assesses each patient’s individual risk to determine the best method to use for screening. Because no two women are alike, there is no “one size fits all” approach to breast cancer screening. High risk young women for example might need to begin regular breast cancer screenings earlier than women with an average to low risk, and may require imaging tests beyond the capabilities of a standard mammogram. When used in conjunction with standard screening tests like mammography and ultrasound, a breast MRI can be an effective screening tool for women with a high risk for developing breast cancer, such as a strong family history, and the BRCA1 or BRCA2 gene mutations. Also known as digital tomosynthesis, 3D tomosynthesis is an FDA approved modern method for breast cancer screening that uses X-ray technology to create a three dimensional image of the breasts. It differs from standard mammograms (which use “flat” two dimensional film images) by offering a more in depth rendering of each breast from multiple angles. 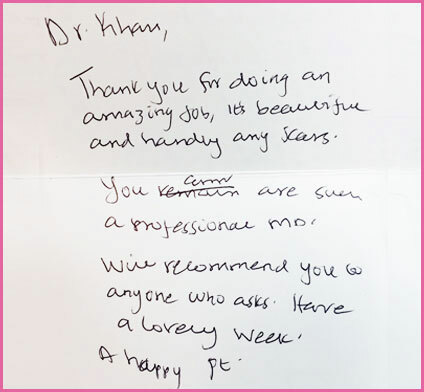 This allows Dr. Khan to find abnormal tissue or masses that a two dimensional film from a traditional mammogram might miss. Greater visibility is especially helpful when screening women with dense breast tissue, which can sometimes obstruct the view of growths or shadows when viewed through a two dimensional mammogram film, because it can be difficult to distinguish between healthy tissue and cancer. Breast cancer cells, which are denser than regular breast tissue, appear as white spots or “shadows” in digital images, making them easier to see and target. The procedure for screening with 3D tomosynthesis is the same as a mammogram, but typically applies less pressure when capturing the images. Using a combination of medical data, statistics, and individual patient history allows Dr. Khan to offer the most comprehensive breast cancer screening and treatment options available to a wide range of patients. To learn more about your individual breast cancer risk and to schedule a breast cancer screening, contact Dr. Khan today at 949-390-9440. Next, read about Oncoplastic Surgery.